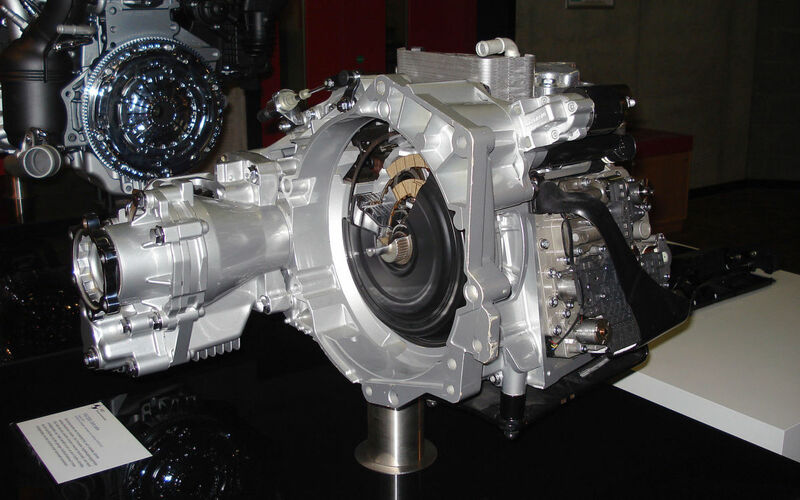 The transverse six-speed DSG transmission, also known as DQ250, is a dual-clutch automatic transmission that is found in vehicles by a number of manufacturers. These manufacturers include Audi, Volkswagen, Skoda, and Seat. The DQ250 is a dual-clutch transmission that employs a combination of manual transmission gears and automatic transmission clutches in order to gain the benefits of both. This particular transmission is old news, having been replaced by newer versions, but it has been used in so many vehicles that are still on the road today that it is most definitely still relevant. So, what happens when this very popular transmission goes bad? To defeat your enemy, you must understand your enemy. So it is with transmission faults. Before we get into the faults, we’ll briefly touch on how the DSG transmission works, and how it’s different from other transmissions. 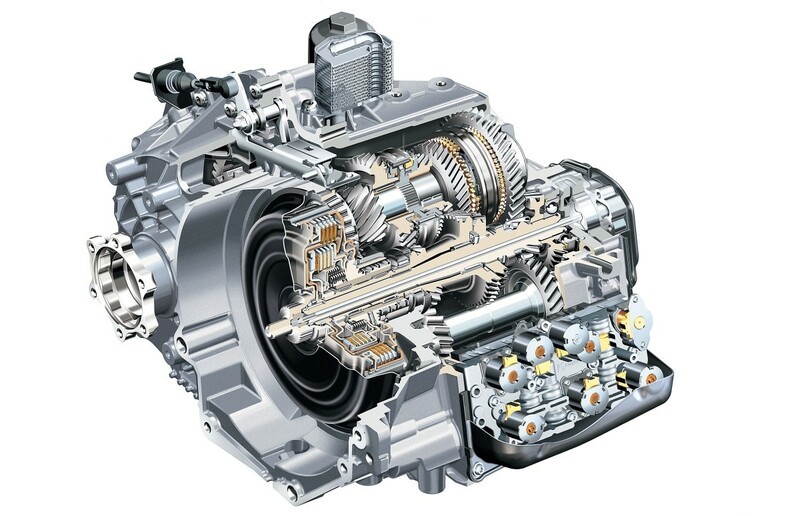 A traditional automatic transmission uses a number of clutch packs to produce the desired output ratio. This works fine, but it has drawbacks, one of the biggest being fuel efficiency. Conversely, manual transmissions use solid metal gears and a single manually operated clutch. This setup creates less resistance and better fuel efficiency, but it means the driver has to deal with pesky clutch pedals and gear levers. DSG stands for Direct-Shift Gearbox, and it incorporates the best of both worlds into its design. Using an advanced electro-hydraulic control module to control clutch application and gear shifting, the DSG can bring the driving comfort of a full automatic to the table while still getting the greater efficiency of the manual-style gears. Furthermore, it makes use of a dual clutch assembly, where one clutch is responsible for even numbered gears and the other for odd-numbered gears, improving shifting quality further. Note: This article is concerned specifically with the DQ250 variant of DSG transmission. There are other variants, such as the 7 speed DQ200, and the inline 0B5 transmission. The most common faults I have experienced with this particular transmission. Before we get into the transmission fault here, there is another cause of juddering which is far more common, and it is outside of the transmission itself. If you experience the juddering mainly when you start the engine and when the car is idling, often accompanied by a loud clattering noise, the problem is likely in the dual mass flywheel which sits between the transmission and the engine. The flywheel consists of two plates that can move a small amount in relation to each other. This provides a cushioning effect when torque is transferred from the engine to the transmission. When that flywheel wears down, and the amount of movement is too great, you get a juddering/shuddering sensation. It’s important not to leave this fault for too long. If the two flywheel plates sheer off from each other, your vehicle will lose drive entirely. 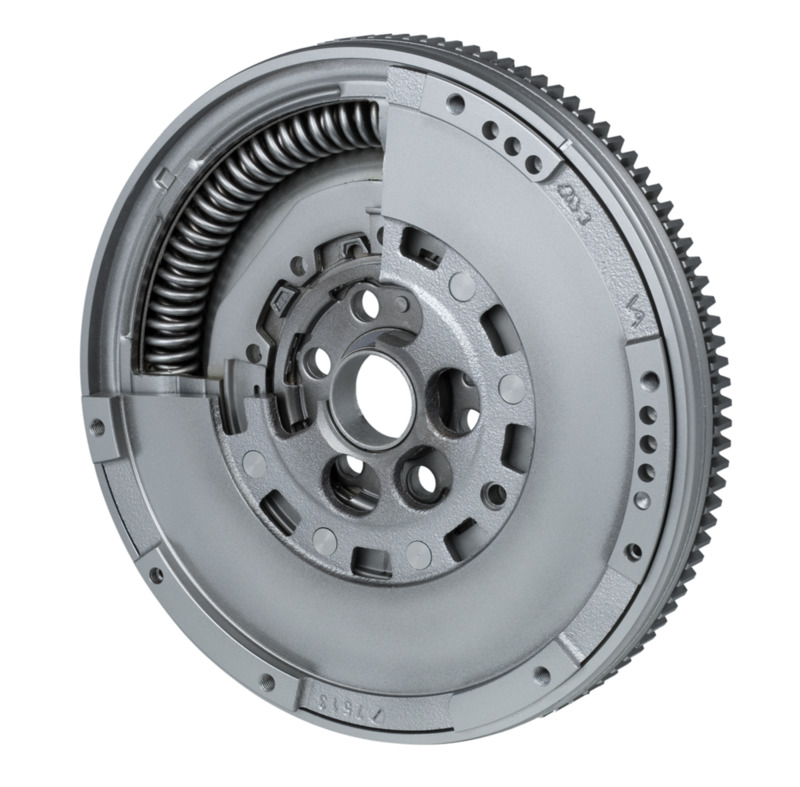 If your flywheel is fine, however, and the juddering sensation is most noticeable on gearshifts—particularly at lower speeds—the problem likely lies in the dual clutch assembly. Unfortunately, it’s a simple matter of wear and tear, and there’s not much to be done for it other than replace it. There are kits available that allow for the replacement of many of the components of the clutch assembly, and oftentimes that will cure the fault. However, sometimes the wear and tear is in the non-replaceable components, and a new assembly is needed. In my experience, it’s much more practical to just replace the whole assembly. You might save money by getting a repair kit rather than a clutch, but if the damage ends up being in the non-replaceable components, you’ll still need to buy a complete assembly and that money saved becomes money wasted. Default Mode—also known as limp mode and failsafe mode—is a failure state of the transmission where it detects a fault and limits itself to one gear (typically third) to limit damage to the transmission. 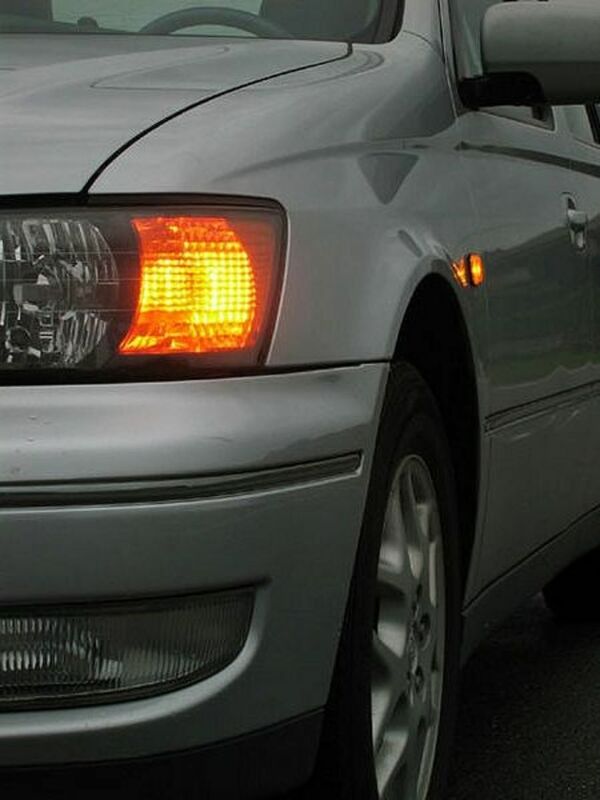 This will often be accompanied by an indicator on the dashboard, such as flashing “PRNDS” lights. If your transmission has gone into default, there will be trouble codes in there to explain why it’s done this. You’ll need to get your vehicle scanned with a good diagnostic machine to find out what those codes are. If the codes mention “clutch limits reached” (or something similar), there’s a good chance the problem is your clutch. Typically (though not always) this won’t occur until after the aforementioned juddering/shuddering fault. If the codes mention “adaptations,” it’s possible that your problem may be fixed with an adaptation reset. You’ll need to find someone with a good VAG diagnostic tool for this. If the codes mention any sensors, gear ratios, or unexpected mechanical disengagements, the problem is almost certainly your mechatronic. The mechatronic is the name given to the electro-hydraulic control unit that is responsible for controlling the gearbox, and it’s a very expensive lump. Fortunately, there are many companies that can repair this fault, and a quick search of “DSG Mechatronic Repair” should yield plenty of results. It should be noted, however, that these companies are limited in what they can test for and repair in these mechatronic units. I have been involved in a number of situations where the repair company tested the mechatronic and found to be “ok,” yet the fault was eventually cured with a replacement mechatronic. Bear in mind, with these repair companies, “tested ok” means they couldn’t find a fault. Not that there’s nothing wrong with it. One particularly common symptom of a faulty DQ250 mechatronic is a partial or total loss of reverse, so be on the lookout for that as a strong indicator that the mechatronic is failing. The mechanical workings of the DSG—the physical gears and syncros—don’t tend to fail very often in my experience. I have seen a number of instances of bearings wearing down, however. This typically results in a metallic noise when driving. I have known DSG transmissions with this symptom to be driven for quite some time with no ill-effects other than quite irritating driving noise. However, I most definitely wouldn’t recommend you leave this problem unattended. If the mechanical components of the DSG did fail, it would be pretty catastrophic for the transmission. The fix is a bearing kit, assuming the problem is dealt with promptly, and no other damage has been caused. One or two other useful bits of information about DSG transmission faults. It’s also worth noting that, on occasion, a simple adaptation reset can fix a number of minor issues, such as poor shifting quality. 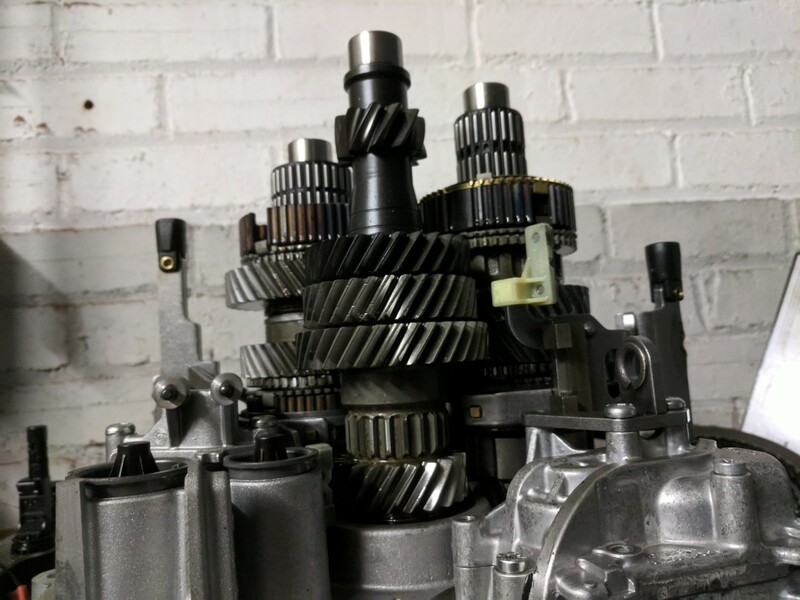 Adaptations are little adjustments that your mechatronic makes to things like how much pressure it applies to the clutches to compensate for wear and tear or driving style. Sometimes things can get a little out of whack, and in those cases, a reset of the adaptation values—followed by a proper drive cycle—can sometimes be enough to clear the issues up. One fault I have seen a few times in DSG vehicles is the loss of ability to start the vehicle, accompanied by a fault code relating to the park/neutral switch. The problem is that the mechatronic is getting bad information regarding the position of the gear selector, and won’t let you start the car because it can’t be sure you are in park or neutral. The affected part here is actually in the gear selector itself, rather than the transmission. Though it could also be a wiring or communication fault. And that’s the end of my six-speed DSG faults hub. I hope you found this information helpful, and if you have anything to ask (or add!) please drop a comment below. Understanding How an Automatic Transmission "Thinks"
noise what can that be. I have Golf 5 GTI GSG box. and it was replaced exchange unit.does box need to be bleeded it like the brakes??? 17106, 18201, 17100, 18222, 18227 and 16988. Am being advised to replace the transmission. Is this correct and what could have led to this so i can prevent subsequent occurrence. I just bought the car into Nigeria about 2weeks ago. Hello John, Thank you for your clear explaination! I have a question though. I have an audi tt 3.2 with the dsg DQ250. The old mechatronic was broken (the ECU in te mechatronic itself). Now i placed another one but the car drives only in reverse and 1st gear when its about to shift it goes in limp mode PRNDS flashing. Is it maybe the coding that is wrong? it gives two databus faultcodes in vcds. and if so, is it possible to code it the rightway without the need to acces and retrieve data (coding) from the old Mechatronic? I look forward to your insight. Hello, I need some help with a VW T5 DSG 6speed. 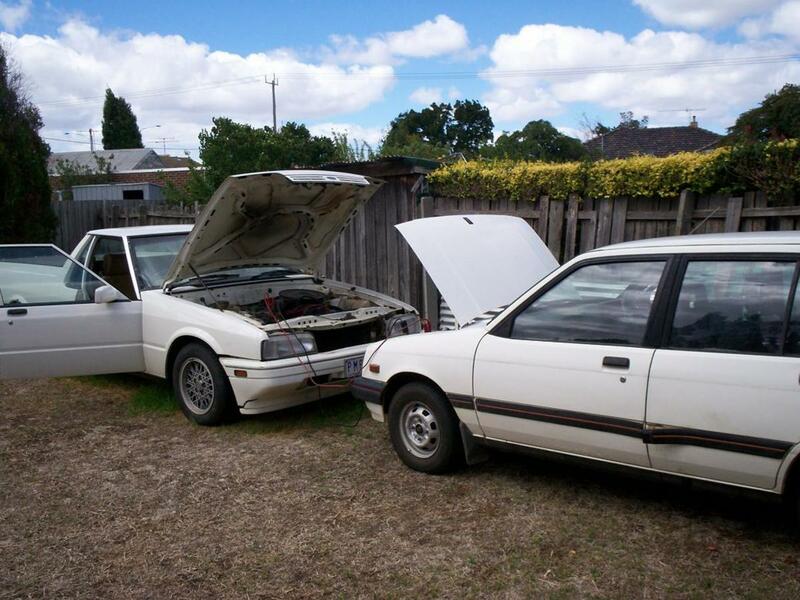 I changed the head on the car couple of days ago, yesterday the car started stalling when I put it on drive or reverse. It even drops the revs when I move the car from park to drive. It’s like it disengage the accelerator when I put on drive or reverse as it does not accelerate at all. Hello Ramon. The cable is unlikely; if the transmission had somehow been pulled into neutral by a faulty cable, you wouldn't have been able to drive it home without physically getting it OUT of neutral first. It is possible the selector itself could be the problem although that is not a very a common fault. I would recommend letting an electrician poke at some wires before spending any serious money on new selectors or mechatronics. Hello again. I'm sorry I couldn't tell you if the flywheel on the Caddy and Golf are the same. If the transmission and engine match up (same codes) I can't think of a reason why the flywheels wouldn't also match, but I just don't know for certain. Hi and thank you for your replies. With the cost of parts so high in Aus A$1900 for ta dual mass flywheel. We are now looking at doing a replacement of the whole DSG system. I agree the dual mass flywheel needs to be replaced the mechatronic. and the wiring are the possible all the faulty parts. We have found a very low milage Sports 2L Golf of mid 2007 as our parts donor. The dual mass flywheel in the golf and the caddy measure exactly the same as each other but have one digit different part numbers. Every thing else seems the same like 02E 301 107 gearbox numbers. If this exchange works out a going car that will be great. Of course over our winter months in Australia. (Your Summer) I intend to test and rebuild the mega replace the wiring and order a dual mass flywheel on line. Have you any warning about the dual mass flywheel for the 2L Golf being different to the Caddy one. The Caddy is Dec 2006 and the golf May 2007. Hello. Sorry I would need to know which transmission is in your vehicle before taking a guess at the problem. 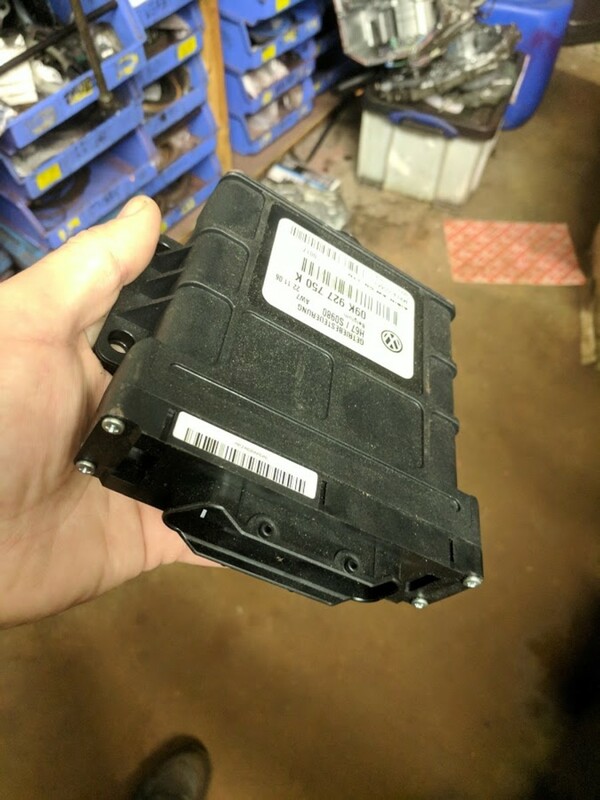 However if you have the aforementioned DSG 6 speed and are getting a solenoid fault, the quote you were given may be to replace the mechatronic unit as a whole, rather than waste time and money trying to pin point the specific problem, which can sometimes end up more expensive in the long run. Hello. If there is nothing mechanical broken in the transmission (ie; bits of metal in the oil) then the speed sensor fault would indicate a faulty ECU/Mechatronic. However the ECU doesn't typically cause a noise like you described, so it's possible you could have multiple faults on your hands. The dual mass fly wheel would seem to be the most likely culprit for the noise you described. 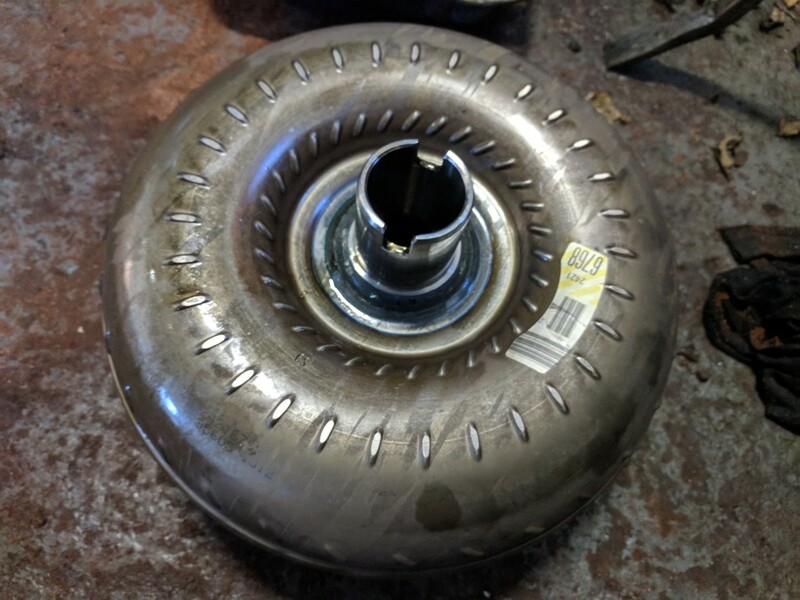 The state of the flywheel can be checked before replacing... though you would need to remove the transmission to do so. Hello, it sounds like an adaptation issue. If you have not had the adaptations reset, I would try that first. Just bought 1.6Tdi 2009 plate..automatic. It was gone for a day and now had ‘service now’ and shifts horribly between D1/3/5/7 only...ok in tiptronic but sports mode it won’t shift at all...I’m taking it back to the dealer but is this something I should walk away from? These DSG boxes for me are not at all straight forward. And my friend doing the work is in the same boat. WE have a big problem in finding the fault from the symptoms we have found in 2006 1.9 Diesel Caddy 02E box. That went into limp mode. 1 When the box is cold it works fine in all gears. 2 when it gets hot then no reverse. but still travels at 80kph or 50mph. 3 Then a little further Limp Mode. 3 We had a 2 solenoid faults in Mega unit and replaced them. and those faults cleared. one had a low elect power. 5 We put in new oil and filter 2 years from last oil change. 7 When I listen to the box in Park engine on I can hear some thing like a kitchen sieve and Cutlery Knives, Forks, rotating. Not as loud as the engine. The stethoscope cannot narrow down the area of the sound because of the engine sound is too strong. So i think it is in the clutch area. away from the outside of the Engine & gearbox. One cannot hear this sound with the window open sitting in side the cab. I think we will need to do a clutch job. and Not the flywheel job. But we would like to make shore it is not a flaky relay or some dumb thing causing it. The thing that comes to mind is the internal wiring in the box that may be the fault this was a known problem in earlier VWs. No thing hurts like throwing parts and money at something we are not shore is the problem!!! 3. Speed dropped to 20kPH. 4. In this state it could flare to 5000RPM but would not go faster than 20 kPH. We are in Perth West Australia. WE have a big problem in finding the fault from the symptoms we have found in 2006 1.9 Diesel Caddy 02E box. 3 We had a 2 sensor faults in Mega unit and replaced them. and those faults cleared. one had a low elect power. 4 We put in new oil and filter 2 years from last oil change. 6 When I listen to the box in Park engine on I can hear some thing like a kitchen sieve and Cutlery Knives, Forks, rotating. Not as loud as the engine. The stethoscope cannot narrow down the area of the sound because of the engine sound is too strong. So i think it is in the clutch area. away from the outside of the Engine & gearbox. One cannot hear this sound with the window open sitting in side the cab. But we would like to make shore it is not a flaky relay or some dumb thing causing it. The thing that comes to mind is the internal wiring in the box that may be the fault this was a known problem in earler VWs. I have VW polo 2009 1.4 recently I been having a problem with it as PRNDS starts flashing with emissions sign ,took it to gearbox specialist and it is dignosed as solenoid valve V6 is open or Short . Please help me as been quoted £1400-1800 . I have bought a 2012 golf R with a stage 2+ tune. The car goes well with 0-100 klm/hr in about 4 seconds. The shifting is very precise and no issues with maximum effort fast driving on a dirt track. But, on start up before the engine and gearbox comes to normal operating temperature it can be jerky sometimes when you pull off, particularly in reverse and sometimes even kangaroo hops, so that I have to bring the car to a full stop and start off again. Is this a clutch pack issue or is it the flywheel issue? The flywheel part makes sence. It has a hard time switching from neutral (still in drive mode) to first gear and when this problem first occurred it made a clunk noise from park to reverse to drive. Is there any other problem that can be diagnosed from this? I have a mk5 golf gti dsg when pulling away you have to take it to 1.5k-2k revs to pull away ! if you are on a hill and pulling away it judders really bad and feels like it's going to stall and does the same in R , been to 1 company and then said I need the mechatronics repaired or replaced witch is not cheap! could i get another gearbox and have that fitted and would it need to be programmed in?? anyone had this issue ?? Hi. I have a VW Scirocco 2009. 2.0 Tdi, DSG 02E gearbox which had this code 19143/P2711/010001-Unexpected disengagement gear. 2937-Fault code in transmission. 9708-Sensor for actuator 2. P17E1 00 ( 096 ) mechanical malfunction. 8090-Gear selector 2 can not be regulated. Problem is some time Reverser is lost. At ther beginning I send Mechatronic to a holland company ACTronics and say it is ok 100 % but I do not believe them. i have rebuilt gearbor whit new clutch kit, gaskets, filters and oil and after assembly and installed in the car and erase codes now it has this other one: C06E4- unknown code. I have drive car aroubnd 100 kms and at the moment reverse is ok but after to see your web site I am not very happy. What do you thionk? Mechatronic may be yet wrong ? i have the same issue my car being a VW POLO TSI DSG 2016 model i started having the issue on 1000km. the dealership tells me that all DSG gearboxes operate in this manner according to them the issue to resolved but I experience all the issues raised above. Does anyone know if they have just replaced the friction plates and been ok with DSG 02e? i.e. reused the steel plates etc. and only replaced the frictions? I would like to know if it's possible to replace Audi A6 automatic 2.5 TDI gearbox with a Audi A6 3.0 TDI automatic gearbox both 2003 models. Thank you so much and i have a issue with my Passat 2008 done about 100K from last month the car just looses power on the drive without any specific occurrence and would be able to drive once the car is stopped from the free rolling and restarted. I'm having the same problem as other owners of the VAG group in combination with DSG6. It is a metallic sound that can be heard with a lowered window. Currently it can only be reproduced on the bumpy roads (cobblestone, stony roads, speed bumps, etc.). Car details: Leon X-Perience (year 2015) 4drive 1.8 TFSI DSG6. I started to hear it since more or less 30K km. Now car has 48K so is pretty new. In my opinion such sound is unacceptable, especially in a pretty new car. Can anyone confirm that it is an abnormal behaviour? 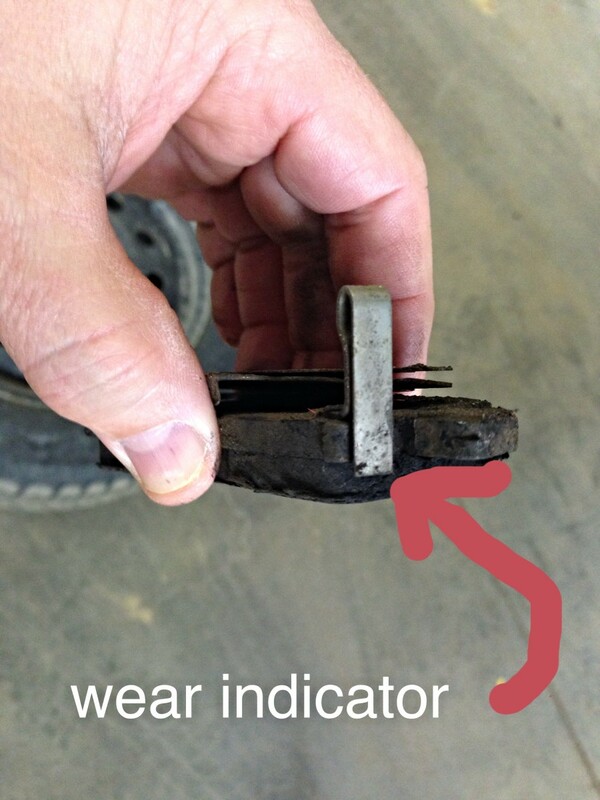 Could it be related to the faulty bearings? Hi John. I had an 2012 plate Audi Avant 1.9 TDi with 6 speed DSG. Sometimes when cold, it would take a few seconds to pick up or engage. If at traffic lights or a roundabout, the temptation was to then press down on the accelerator. It would then ‘catch’ and you would shoot forward. I have taken it to an Audi garage to have it checked but they can find nothing wrong with it. Many thanks. When the car was hot especially in peak hour traffic when moving at low speed it would jerk and shutter. This would also happen when the car was hot and you were reversing. The fault was recorded several times before the warranty expired and went back to the dealer several times. Each time the dealer said there was no fault and every time they tested the car it wouldn’t happen to them. Dealer kept denying there were no issues with the gearbox and a few months later the DSG gearbox fault scandal was released. Very good comment.....appreciate your time. I have a VW Touran with a 6 speed DSG Transmission. last year November I lost drive so when the car was picked up and check, I was told that the gear box is gone and they have to recondition it which they charged me £ 2500.00 plus vat for to do. In fact I went ahead with only because they offered me a 12000 miles or a 12 months warranty with the works. a couple of months later after the repair was done I began to hear a screeching and rattling noise from the engine compartment so I took it to two different garages who all confirmed the noise to be coming from the joint between the gearbox and the engine. Therefore I returned it to the garage that did the gear box repair works who have now reported that the noise is coming from the aluminium engine plate between the gear box and the engine and it has nothing to do with the works that they did and to replace that and fix the problem they are asking me to pay another £ 719.00 plus vat. When reconditioning the gear box they said that they are replacing all parts therefore I am first of all surprised that they are saying that part referred to as part of the works they aware doing doesn’t include this aluminium engine plate. Is it true that the aluminium engine plate is not part of the gear box? Secondly is it right for them to have not replaced the aluminium plate as part of the gear box repair works they carried out. Thirdly can it not be that the damaged aluminium plate has not come about as a result of the works carried out. Please I will appreciate your opinion on this matter to help me with the decision I will like to take on the issue, thanks. I have a VW Passat 2007, 3.2 litre with an automatic DSG 6 gear box (or so i was told). Lately i have been getting an issue where when i start up and move the gear lever into drive or reverse, the vehicle does not move, and the gear indicator on the dashboard blinks on whatever gear i placed it in. To correct this, i must place the gear in manual low, neutral or park, then back into D1. This allows the car to function correctly. It happens very infrequent, but a cause for concern. My mechanic ran diagnostic scans and it came back with some transmissions errors, and he told me i should get a new gear clutch. Was this correct? Good day, I'm almost at my witts end. I have a 2009 Eos 2.0T TSI with DSG6. In spring when I moved the car out of winter storage, I attempted to start the car with almost dead battery. Car rolled. A couple times and stopped. I charged the battery for a couple days, and it started fine. As I drove away, the car didn't shift. Now flashing PRNDS. I scanned the module and have a P1707- interference in mechatronic module. In an attempt to place basic settings, but group 61, and other 60's are not available. Unless the engine is NOT running. With koeo I can access grp61. I brought the car to the dealer (it's not too far, and I still have 1St and 3Rd) they say my mechatronic module is defective, but replacing it may not fix, so I should buy a used DSG from them for $3000. Instead, I bought a 02E927770AM mechatronic to replace my so-called defective 02E927770AJ. Because the software is different, I purchase the tune and program my new AM module to work with my Eos. Nothing has changed. I still have my P1707, and it doesn't shift. Battery ignition voltage and ground at DSG is 13.9 VDC, and doing an autoscan, the only other error is because I have aftermarket radio. Group 61 is still available when engine is off, but if I try to set basic, then start the car it is no longer. I don't know how to verify or logic on the DQ250, BUT, I'm not sure that's the issue. I need someone with experience who can help me, or another test I can perform to try and isolate my problem. If the double clunk is difficult to reproduce it is almost certainly a software issue. Unfortunately, with a car that new, you're likely at the mercy of the dealer as they will be the only ones who can update the software or replace the computer that the software is on. I would suggest getting one of their technicians to go out in the car with you and demonstrating the fault to them. I have a new 2018 passat Rline with 20T engine with tiptronic trans. within 500 miles, I noticed a double clunk in down shift when coming to a stop. Dealer says they can't duplicate the problem and there are no recalls or bulletins out on the car. Can anyone help? I have a strange behaviour on my DSG (Cross Touran 2.0 TDI 170HP 2009). For the most part the DSG shifts gears perfectly, but sometimes it just wont shift up. It is not between the same gears everytime but motsly ist between 3-4 or 4-5. Shifting down is never a problem. The quick solution when this happens is to go to N and back to D again then it works again for a while. When I change to manual it never fails to shift gears. No fault codes found and the dealer just tell me to replace the DSG for more than the car is worth. Anyone has the same problem or know how to solve it? I have been experiencing jerking on a 2009 Touran 1.4 tsi with a DSG transmission it jerking when I accelerate hard and also when I'm at gear 5 or 6 while my revs are low and I try to accelerate the engine check light comes on and off. Can dsg Issues set the engine check light or I'm having firing Issues. Hi, good day to all. I read your artical on possible DSG faults and i would like to find out if you can possibly help me identity mine. I have a VW Tiguan 2010 with an automatic DSG 7 gear box (or so i was told). Lately i have been getting an issue where when i start up and move the gear lever into drive or reverse, the vehicle does not move, and the gear indicator on the dashboard blinks on whatever gear i placed it in. To correct this, i must place the gear in manual low, neutral or park, then back into D1. This allows the car to function correctly. It happens very infrequent, but a cause for concern. My mechanic ran diagnostic scans and it came back with some transmissions errors, and he told me i should get a new gear clutch. Was this correct? I have a 2010 mkVI Volkswagen GTI. and I have issues possibly stemming from an egr valve, but I also have the limp mode that happens every so often. with an EPC signal light on the dashboard. i'm not sure what symptoms stem from EGR or DSG transmission but below are the prevalent issues. Very interesting reading this post, thank you for sharing! I'm currently having a lot of issues with my Passat TDI with DSG from 2015. I bought it used from a dealer in 2017 and I said from day one there was something wrong with the DSG. They kept denying it. Until now when the car started loosing reverse partially. SOMETIMES with uneven periods in between, sometimes with just a day interval sometimes 2-3 weeks the car just died when trying to reverse from parked. rolled about 0,5 meters then "chopped" and died. Then it got worse and started to happen in D1 gear aswell.. But still mainly noticed when car was really cold after a nights standstill. There has been 1 or two occations with strange sound but this is out of maybe 20-30 occations. The thing is the mechatronic has been factory reset once. This shortly fixed the issue of the "choppy" working of he gearbox, but at that time we hadn't started experiencing the issues with R gear. This time the repair shop was unable to get the problem resolved by resetting it so they are quite sure it's the mechatronic that has failed. I'm just thinking how do I know it's the mechatronic and not the dual mass flywheel, because some of the symptoms I think could add up for any of the 2 faults. Do you have any good tip of symptoms that could turn our eyes more against one of the two? Just reading this post makes me more certain my repair shop is on the right track with replacing the mechatronic unit, since you mention partial or total loss of R gear is a common symptom! It is with great interest I read your detailed information related to Common faults with VW DSG gearboxes. In particular I reference your comments regarding "worn bearings" which I can relate to on my VW Tiguan. My £44k 2017 Mk2 Tiguan 190ps 4 Motion R-Line has a horrendous metallic grating noise emanating from the drive train, which has been evident from new. It appears to be prevalent at low speeds up to 20 mph in slow moving traffic when down shifting. Also it is noticeable when driving at steady speeds of 30 - 40 mph in 4th gear. After lengthy investigations lasting several months both VW and the selling dealer they have described the aforementioned ‘noise’ as a ‘characteristic’ and ‘normal DSG operation noise’ However, are refusing to declare why the noise is evident on some cars but not on others, and also which component the noise is emanating from! Unfortunately and due to VW’s reluctance to resolve my conerns with my Tiguan I have been left with no alternative but to appoint a independent DEKRA automotive engineer who has contrary to VW and the selling dealers opinion of the noise being ‘normal operation’ and a ‘characteristic’ has concluded that the noise is unacceptable! I have test driven 4 Tiguan's for comparison purposes and out of 4, three exhibited varying degrees of noise so there is no consistency but apparently quite a few cars affected, some customers have contacted me from as far a field as Singapore, Australia, Portugal, UK and Iceland! At my wits end and with the Motor Ombudsman apparently siding with VW I have now reluctantly sought legal advice to conclude this debacle! I have uploaded a sound video recording of the noise to YouTube so have a listen. I would welcome your valuable comments. It is with great interest that I read your most informative article on the VAG DQ250, in particular referencing "noisy bearings"
Not only did I have the misfortune of a replacement DSG (DQ250) in my 2014 VW Golf GTD but my wife has an issue with the DQ500 DSG gearbox on her 2017 VW Tiguan. My wife's £44k 2017 Mk2 Tiguan 190ps 4 Motion R-Line has a horrendous metallic grating noise emanating from the drive train, which has been evident from new. At this present time it has 2,700 miles recorded and she will not drive the car due to poor refinement. After lengthy investigations lasting several months both VW and the selling dealer have described the aforementioned ‘noise’ as a ‘characteristic’ and ‘normal DSG operation noise’ However, are refusing to declare why the noise is evident on some cars but not on others, and also which component the noise is emanating from! Unfortunately, and due to VW’s reluctance to resolve my wife’s concerns with her Tiguan I have been left with no alternative but to appoint a independent DEKRA automotive engineer who has contrary to VW and the selling dealers opinion of the noise being ‘normal operation’ and a ‘characteristic’ has concluded that the noise is unacceptable! VW are standing by their comments which has resulted in a stalemate. I have test driven 4 Tiguan's for comparison purposes and out of 4, three exhibited varying degrees of noise so there is no consistency but apparently quite a few cars affected, some customers have contacted me from as far a field as Singapore, Portugal, Australia and Iceland. At her wits end my wife has now instructed legal representation to conclude this debacle! Sorry to hear about your Octavia. I'm not sure what the exchange rate is where you are but 2500 doesn't sound wildly over the average for this particular job. If it's a 6 speed, you *can* source a second hand unit as they are not coded to the vehicle. However there are two things you need to make sure. The first is the box code. This is a three letter code and can often be found on a sticker in the boot where the spare wheel is kept. If you purchase a box with a different box code, the transmission physically will not work with your car. Second, the number on the mechatronic unit itself. This is a long number that should start with "02E" If that number is different, the mechatronic will not work with your transmission. Unfortunately, I don't know for certain that a matching box code guarantees a matching mechatronic. If possible, you should try and find out the mechatronic numbers before buying. And it's worth pointing out that any purchase of a second hand part carries a risk. You might be buying a mechatronic that's a few thousand miles away from failing itself. It's a gamble. My 06 plate Octavia 2.0 TDI DSG has developed a mechatronics fault. I had it scanned and I have been told that a solenoid is faulty and they suggested a new unit for 2500 including workmanship and VAT.. wow. I was thinking of sourcing a whole used DSG gearbox from a low mileage car. Would any 6 speed DSG gearbox (I.e from a Passat) fit? Thanks for taking time to answer my question! Hello Leon. The code you mentioned is an unexpected mechanical disengagement fault. 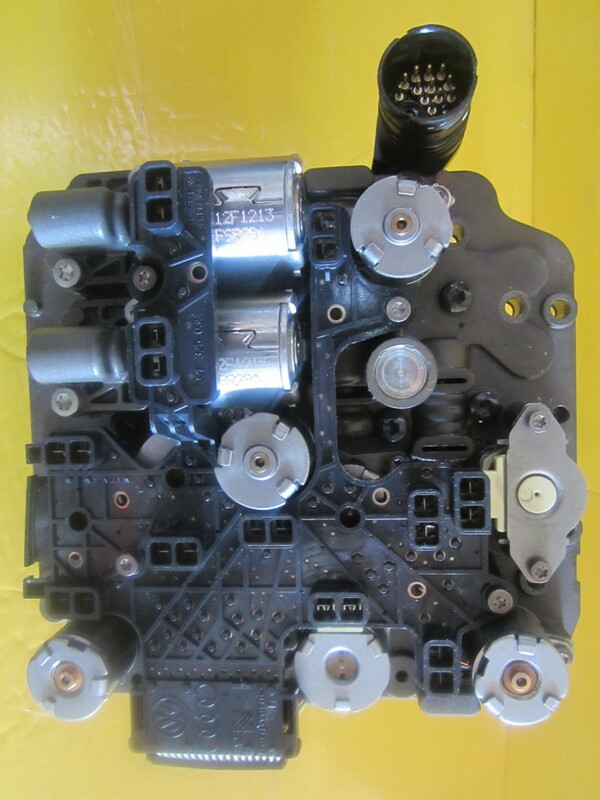 This is usually either because the clutches are over worn or the mechatronic is faulty. There are ways to try and check the mechatronic but they involve plugging the car into specialist software (like VCDS). You might need to take it to a diagnostic specialists with the right hardware. I have a 2007 Audi A3 with 133,000 miles. Runs great but when I stop to go reverse, there a clunking noise, PRNDS flashes and no reverse with an error code of P2711. Also when I hit 70 mph, there's a slow whining noise....please help, don't know whether to replace the clutch pack or mechatronics....all clutches looked fine when trans was opened up. I'm assuming your DSG is a 6 speed (it should be on a 2007 model). It sounds like the clutch packs are slipping once the transmission fluid has warmed up. It's possible that the valve body could have worn but I've never heard of that happening in a DSG. The mechatronic could also cause this kind of issue but it would be very unusual for that to happen without fault codes. Obviously I can't diagnose your fault definitively over the Internet, but I do suspect your dual wet clutch needs replacing. I have a 2007 Audi A3 automatic (DSG and Tiptronic). My car jerks on 1st gear after 15-20 town driving. When the car is left cold over night and i take out to drive. It doesn't give me that jerking problem. Only when it's warmed up after 15-20min of driving. I have got the gearbox diagnosed but that did not display any errors. I bought this 4 months ago. I don't see receipts for gearbox oil change or any work done on the gearbox. Hi Thembela. If the only fault code is clutch overheating then it may just be the clutch that is overly worn and slipping.